Use this car loan calculator to estimate how much you can afford to spend on a car when you take out a secured car loan. For a more specific, personalised quote, or to apply for a car loan, complete a quick quote and get an answer based on your personal finance profile. 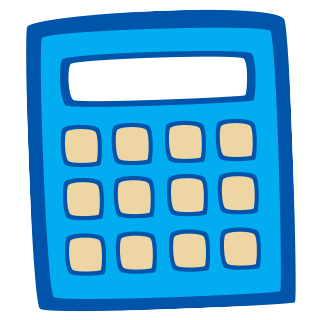 You can email your calculator results to yourself and keep them handy for future use. Simply enter your email address in the box below and we'll send it right over to you. You can use the car loan calculator to estimate what you can afford to spend on your car, based on how much surplus income you have each week. You will also find out the effect that the loan term has on your car loan repayments. Loan Term: The number of years you’ll repay the loan over. Deposit: If you have a lump sum deposit, this will reduce the total that you need to borrow and reduce the interest you’ll pay on the car loan. Balloon Payment: A lump sum that’s due at the end of the loan term. Often found in a chattel mortgage and always in a novated lease contract. Are you ready to get more information? Getting a car loan pre-approval will put you on the front foot when you start looking for the car that you want to buy. Whether you buy from a dealer or through a private sale, you don’t want to miss out once you find “the one”. You can get a full personalised quote when you complete you finance profile within 5 minutes, and advice from a lending specialist about which Australian lenders will offer you the best car loan deal. With a pre-approval in place, you can search for a car knowing exactly how you’ll pay for it. Once you’ve found the car, settlement of your loan can be the same day or next day when all the documentation is provided promptly. Repayments for a car loan to buy a used car more than 7 years old. Comprehensive car insurance, which is a requirement of purchasing a car. Why get a pre-approval with Positive Lending Solutions? You can communicate with us on your terms, in your time. There’s no pressure to talk on the phone if you’d prefer to email or SMS. You can even complete a short online finance profile to get faster service. With guidance from a lending manager who knows the full spectrum of car loans available in Australia, you can select a car loan that is optimal. You can also ask as many questions as you like, so that you are 100% comfortable with the car loan that you select for your pre-approval.